One of the earliest and one of the best “Screwball Comedy” from the 1930s. 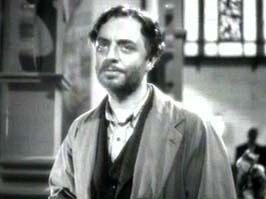 William Powell stars as the derelict Godfrey who falls into acquaintance with socialite Irene Bullock. After hiring Godfrey to work as her family “butler” she begins to fall in love with the man, despite his perception that she is the epitome of the idle rich incarnate. 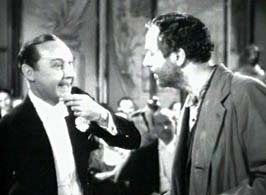 With Godfrey’s avid refusal to concede to Bullock’s advances, his mysterious past, and Bullock’s own personal motives stirring the pot, “My Man Godfrey” promises to be quite the comic treat. Written by: Morrie Ryskind and Eric Hatch (screenplay) and Eric Hatch (novel). 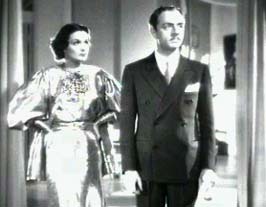 The cast includes: William Powell, Carole Lombard, Gail Patrick, Alice Brady, and Eugene Pallette. 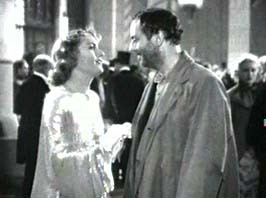 The film, “My Man Godfrey” set the 1930’s standard of being “the screwiest comedy of them all,” and clearly shows off the great comedic talent of Carole Lombard, as she plays a “zany society girl,” in a hilarious script, (by Morrie Ruskind), that inspires the zany best of it’s ensemble cast, under the fine direction of La Cava, who understands comic timing and how to pace a story. 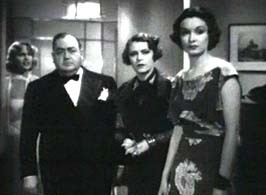 The story begins with a scavenger hunt party game, where the high-society participants, went out on the town to find various items, such as a “forgotten man.” Among them were the two squabbling Bullock sisters, Irene (Carol Lombard) and Cornelia (Gail Patrick). 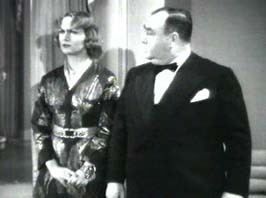 Lombard, who was determined to win this game before her sister could, went to the dump and picked up what she thought was a bum, a “forgotten man” Godfrey Smith (William Powell). After the party, Irene hires him as her eccentric, family’s butler, as sort of her protégé. Her mother, Angelica Bullock (Alice Brady) has her protégé, Carlo (Mischa Auer) a piano player, so she figured she could have one as well. 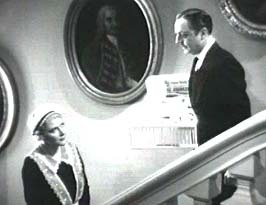 Upon arriving to the Bullock household, Molly (Jean Dixon), the Bullock’s maid, advises him to leave his hat, coat and suitcase near the back door, so he can make a fast exit. He soon realizes why the other butlers haven’t lasted long. The zany Bullock women would be enough to scare off the most dutiful butler. Angelica Bullock has a big hangover, and is seeing pixies everywhere, and hears their tingling music. Godfrey steps up to the plate, shuts the window so the wind chimes stop, and gives her an anti-pixie drink, tomato juice and tobasco sauce. 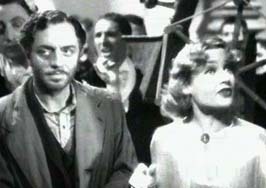 As the story unfolds, the audience learns the truth about Godfrey, while Irene discovers much later in the movie that this tramp- turned-butler was actually richer than she was. The combination of Powell, the very model of urbane sophistication, with the “wonderful zaniness” of Lombard really adds to the hilarity of their situation, and the comedic atmosphere of this 1936 classic film. 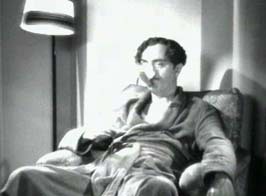 Hints are given early on to the audience as to the fact that Godfrey isn’t who he pretends to be. 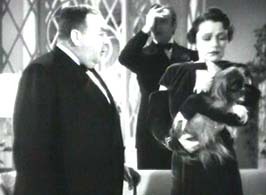 At a party hosted by Irene, Godfrey bumps into Tommy Gray (Alan Mowbray I), despite his efforts to avoid Tommy. Tommy is a good friend of his, as well as a friend of the Bullock family. Tommy, who doesn’t quite understand why his friend is working as a butler, ad-libs a big whopper on how he knew Godfrey, which isn’t well received by Irene, as Tommy ends his story telling masterpiece by stating that Godfrey has 5 children by an Indian woman. To complicate matters, Irene falls more in love with Godfrey and Cornelia schemes to try to get even with Godfrey, by putting her pearl necklace under Godfrey’s bed mattress in his room, and accusing him of stealing it. 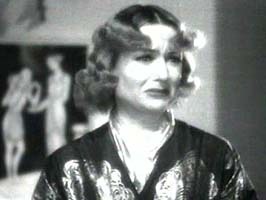 When the police fail to find the pearls there, Cornelia is surprised. The audience knows, however, that despite his tipsy state, Godfrey found the pearls. What is he going to do with them? 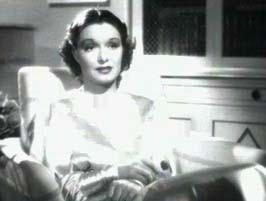 The audience is pleasantly surprised by the end of the film. Godfrey, while working for the Bullocks, is coming up with a way to give the destitute men living at the dump jobs by forming a new partnership with Tommy. After he quits working for the Bullocks, when he felt himself falling in love with Irene, the audience is let on to his plans. While Godfrey is trying to forget Irene, Irene won’t forget him, and follows him to his new business endeavor. Will she get her man? Besides being a really top notch comedy, this film also describes the conditions that existed in the depression era, and the differences in thinking between the haves and the have nots, avoiding the tendency to wallow in pity for the “forgotten men, ” who strive to go back to work. This screenplay skillfully weaves a social commentary into a mad cap comedy without beating the audience over the head with it. 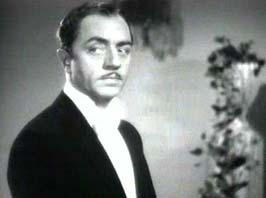 William Powell, as Godfrey, a man with a big secret agrees to be the family butler, becoming Irene’s teacher, confidant, eventually falling in love with her. 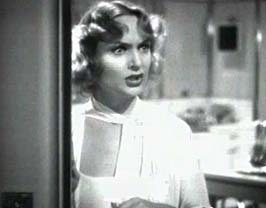 Carole Lombard, as Irene Bullock, is a “silly, spoiled rich girl” with a good heart who needs to be enlightened in her thinking and her feelings. She enlightens Godfrey in return about love. The epitome of the ultimate fruitcake has to be Alice Brady’s character, Angelica Bullock, the mother of Irene and Cornelia. 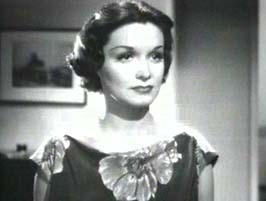 Alice Brady also won an Academy nomination. 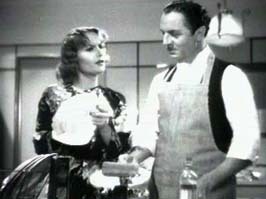 If you enjoyed MY MAN GODFREY, you may like ROOM SERVICE, THERE’S ALWAYS A WOMAN, MAN ABOUT TOWN, CLAUDIA, A NIGHT AT THE OPERA, BRINGING UP BABY, WHAT’S UP DOC?, THE AWFUL TRUTH, and/or SEEMS LIKE OLD TIMES.